Life's a little easier down here. Why? Because of our fantastic location, mild weather, unspoiled beaches, abundant wildlife, natural landscapes, and a southern, coastal way of life that defines Rivers Edge Golf Club & Plantation. We’re a premier, master-planned gated community on the southeastern coast of North Carolina nestled between the Atlantic Ocean and the Shallotte River and its tributaries. Divided by a 27-acre freshwater lake, Rivers Edge is only fifteen minutes from a pristine beach and the Atlantic Intracoastal Waterway. The golf club lifestyle here offers an impressive selection of amenities designed to entertain, inspire and captivate you. More importantly, Rivers Edge is designed by nature, preserving land qualities and sustaining habitats for native flora and fauna. We seamlessly integrate real estate and amenities into an interconnected balanced design. We’re perfectly located in Shallotte, NC with many local amenities, and we're conveniently centered between the historic Port City of Wilmington, North Carolina and the exciting Grand Strand of Myrtle Beach, South Carolina, so Rivers Edge Golf Club & Plantation is easily accessible to a world of art, history, culture, eclectic dining, entertainment, colleges and universities, airports, and interstates. Whether you're looking for a homesite, second home or a permanent residence, Rivers Edge Golf Club & Plantation has got it all... an Arnold Palmer designed golf course, state-of-the-art amenity center, panoramic water views, miles of walking and biking trails, kayaking, fishing, and an exclusive oceanfront beach club. Oceanfront beach club. Beautiful 27-acre freshwater lake. Well-appointed residence club. State-of-the-art fitness equipment. Tennis courts. Live life your way, everyday. Natural surroundings, habitat preserves. Active community. Water view, golf course and nature homesites. Gorgeous homes. Surrounded by beauty, everyday. A stunning masterpiece, Arnold Palmer’s championship golf course offers members an elegant and exclusive club experience steps from their residence. Situated upon one of the most breathtaking pieces of property that you'll ever see is one of the most spectacular courses you'll ever play. 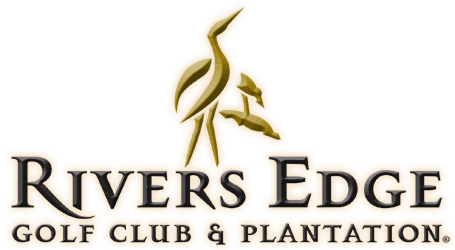 Click above to watch our overview of Rivers Edge Golf Club & Plantation. 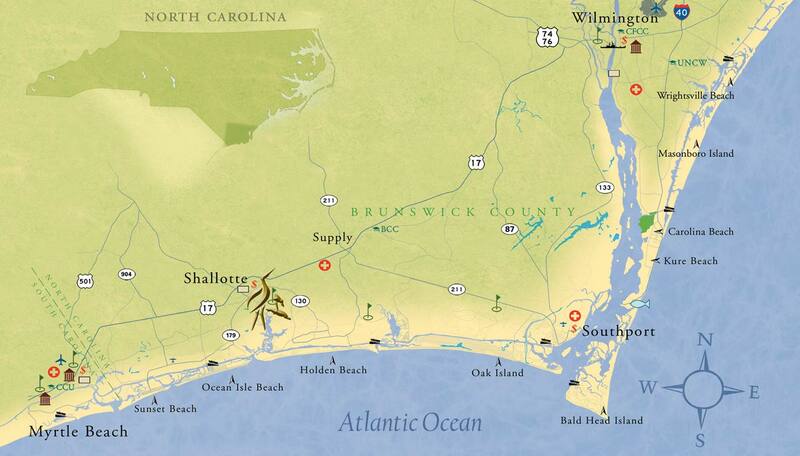 The Brunswick Islands of North Carolina are one of the most desirable places to live on the east coast. There's beaches, fishing, boating, golfing... it's all here, everyday. We invite you to take advantage of our discounted 3-days/2-nights Coastal Excursion which includes coastal accommodations and a private tour of Rivers Edge Golf Club & Plantation.